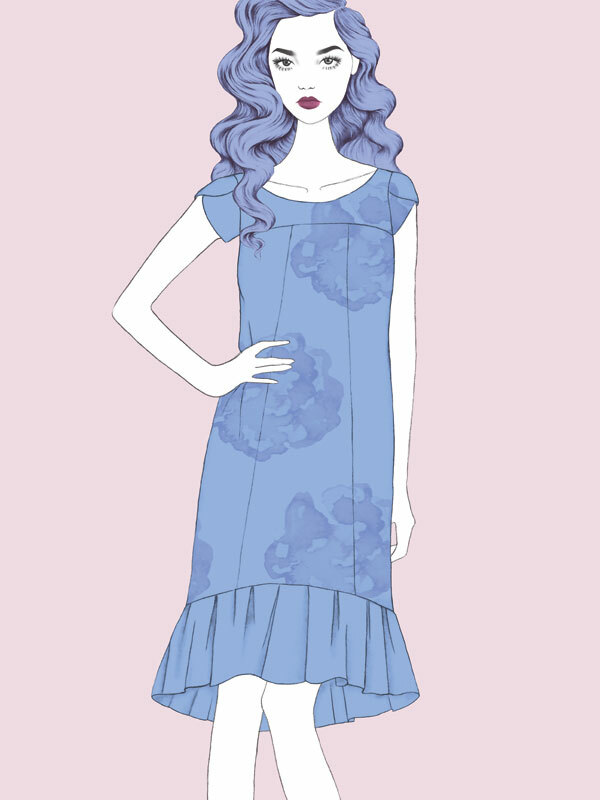 Everything you need to make The Azaire dress or top in a drapey blue floral fabric with a navy part-lining. Sew it yourself at home (all you need is a sewing machine, scissors and pins) or give The Blue Floral Azaire as the perfect sewing gift! 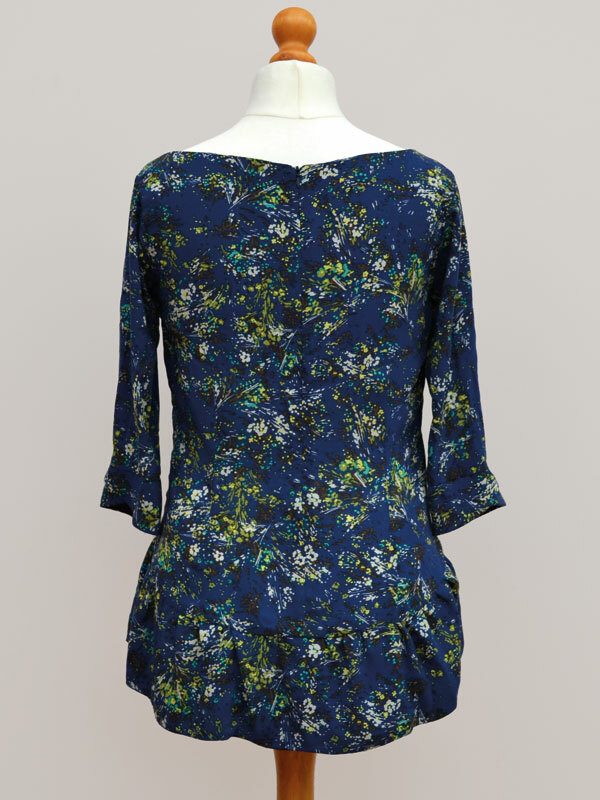 The Azaire is a chic and flattering top and dress in sizes 8–18. 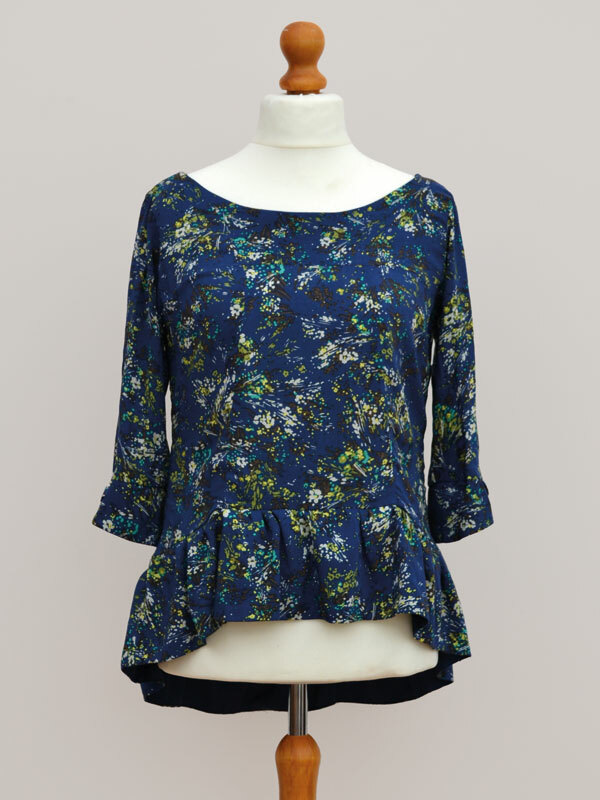 It features a fitted bust, curved yoke, boat neckline, peplum, back darts and an invisible zip. 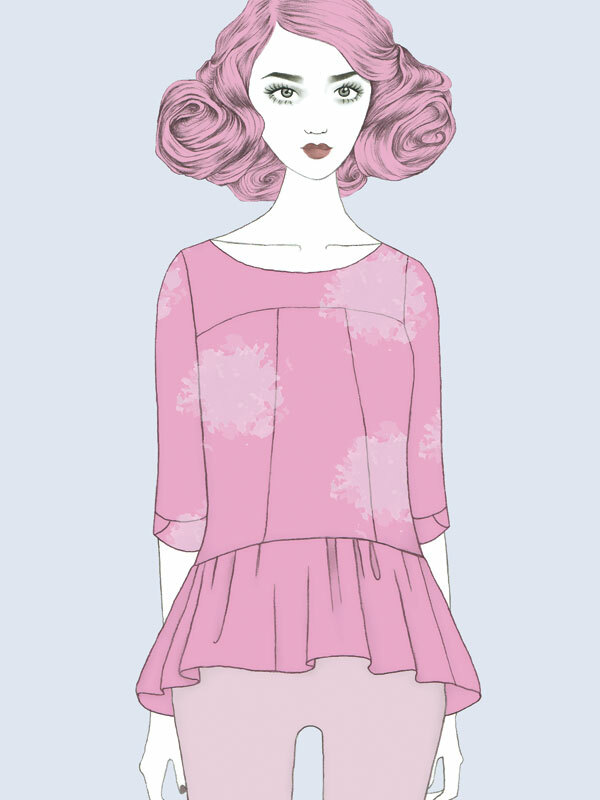 There are two sleeve variations; ¾ length sleeves with a petal cuff or short petal sleeves. 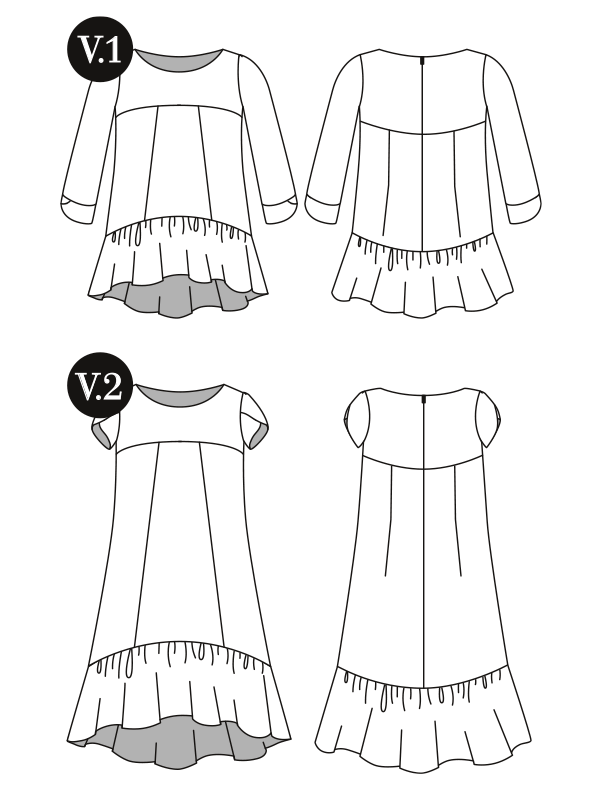 If you’ve selected to include it, you’ll receive The Azaire printed pattern, which comprises a paper pattern, illustrated instruction booklet, all packaged in a durable envelope. 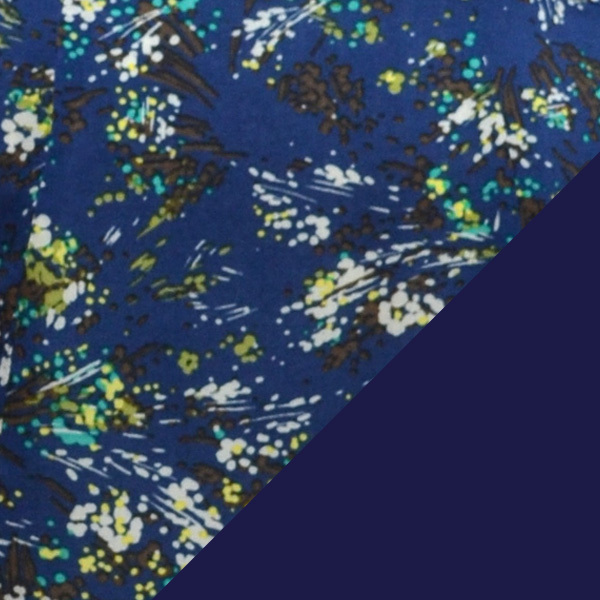 As well as this, you’ll get approximately 3.6 metres of fabric, comprising 2.35 metres of blue floral and 1.25 metres of navy lining fabric. This is plenty to cut the largest size dress. Also included is an invisible zip and two reels of corresponding sew-all Gutermann thread.